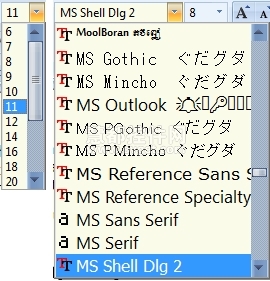 QtitanRibbon is a implementation of the Microsoft Ribbon UI Paradigm for Qt. We made huge efforts to bring the components up to full compliance with the Ribbon UI specifications of Microsoft for Windows, Lunux and Mac OS X. And we can say with confidence that QtitanRibbon is the Best Cross-platform implementation of this technology. And now you can use QtitanRibbon component in your applications that will work Anywhere. 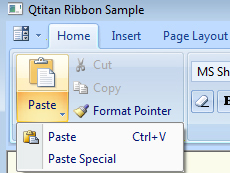 QtitanRibbon component implements the concept of Microsoft Ribbon for Qt. 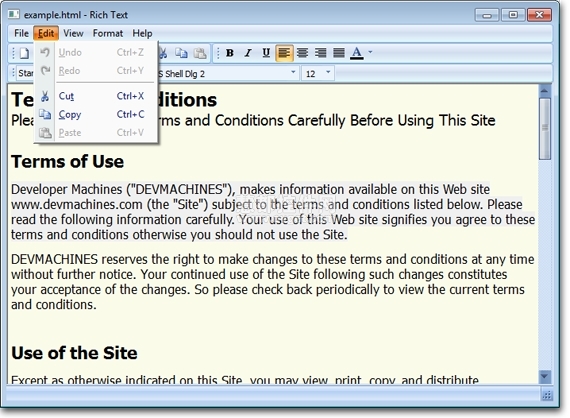 This component is designed for any type of commercial applications developed using Qt. Along with Qt, the component provides a unique opportunity to obtain an application, which has a modern look and feel for the three major platforms that exist on the globe. 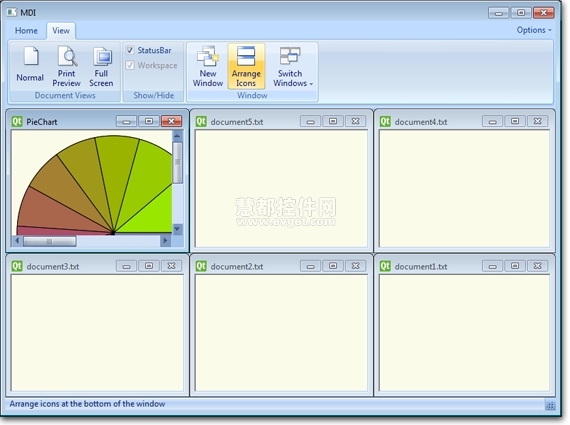 For Windows, Linux and Mac OS X.
QtitanRibbon provides 5 themes for the final application. Blue, Black, Aqua, Silver and Scenic. Here are some screenshots that show how it looks in reality. As you can see the look exactly the same on all three platforms. We taken care of it. There is only one difference. By default, on every platform theme UI initialization differently. Windows is a classics - so switched theme is Blue. Linux is associated with a platform for hackers and hotheads, so theme for the initialization is Black. Mac OS X is associated with smart and luxury, and therefore default theme is Scenic. 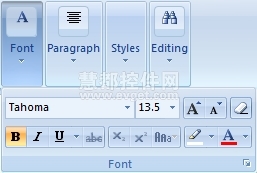 In any case, theme to the initialization Ribbon UI can be modified at any time, regardless of platform. The table below shows the composition of the elements that were implemented or are planned. 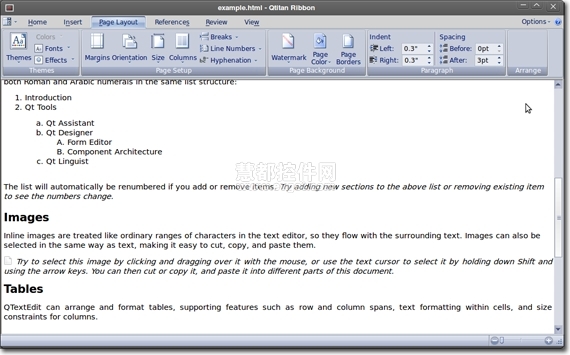 Together with a Ribbon UI in this product, we provide a style OfficeStyle (it inherits from QStyle), which you can use to make the application which has close resemblance with Microsoft Office 2007 or 2010. Style OfficeStyle so well supplied with 5 themes - Blue, Black, Silver, Aqua, Scenic. QtitanRibbon supports - Qt4.5.x, Qt4.6.x, Qt4.7.x, Qt4.8.x and all versions of Qt5.x.x. 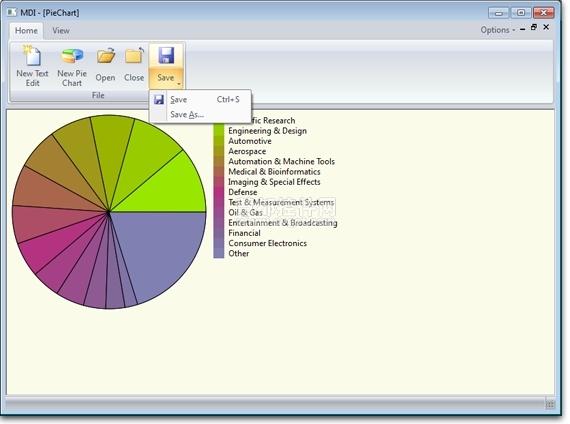 QtitanRibbon component has a convenient integration with Qt Designer. 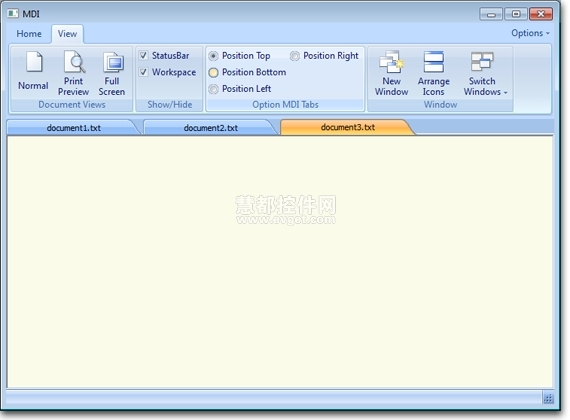 This allows you to manage location of the Ribbon UI on the form in the design time.